Every year when we get to this point there’s a mixture of dread and excitement concerning the compiling of this list [and I’m sure my fellow editors would agree]. 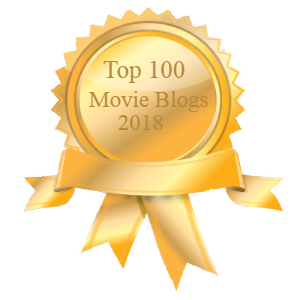 On the one hand, it’s a chance to celebrate the years most thrilling films and the artists who made them – and don’t let anyone tell you otherwise, 2018 has been an astonishing year in film. On the other, it means we’re heading into a bleak January where, no matter the fact that months are becoming less and less indicative of the quality of films to be released, there’s no denying the first of the new year is a bit of a downer. However, as mentioned above, 2018 – a general dumpster fire in reality – was tremendous for film with everything from blockbusters to micro-indies containing blindingly dazzling us every week, dating back to February with Black Panther (and if that realization doesn’t make 2018 feel even longer than it was I don’t know what will.) Few films reviewed have felt totally laborious (though I’m sure my writers will disagree) and while the duds existed (a big eye-roll to you Red Sparrow and Ready Player One) and some didn’t live up to expectations (I’m sorry Oceans 8) there’s no denying the sheer wealth we were allowed to escape into. Take a look at our voted on and ranked titles below and let us know what films were your favorites of the year!